Washington (AFP) - The White House on Tuesday rejected suggestions that President Barack Obama had deliberately ignored the Iraqi prime minister at a G7 summit in Germany. News footage emerged from the summit showing an apparently eager-to-talk Haider al-Abadi awkwardly sitting down next to Obama, only to be shown the US president's back. White House spokesman Josh Earnest suggested those who saw a snub were "telegraphing some insecurities that date back to junior high." 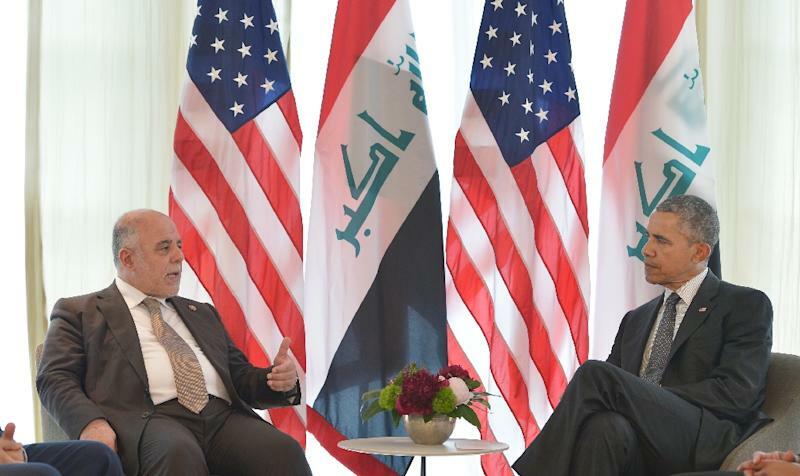 Earnest said Obama had "all the communications he needs" with Abadi at the meeting. Abadi had been invited to the summit of seven industrialized nations, attending a working session and holding bilateral talks with Obama. Obama has welcomed Abadi's administration as a way out of the sectarian conflict that beset previous governments. But the failure of Iraqi forces to repel Islamic State group militants has prompted tension. Pentagon boss Ash Carter caused consternation in Baghdad when he suggested Islamic State won control of Ramadi because "Iraqi forces showed no will to fight."